PASADENA, Calif. — They don't call it "7 minutes of terror" for nothing. 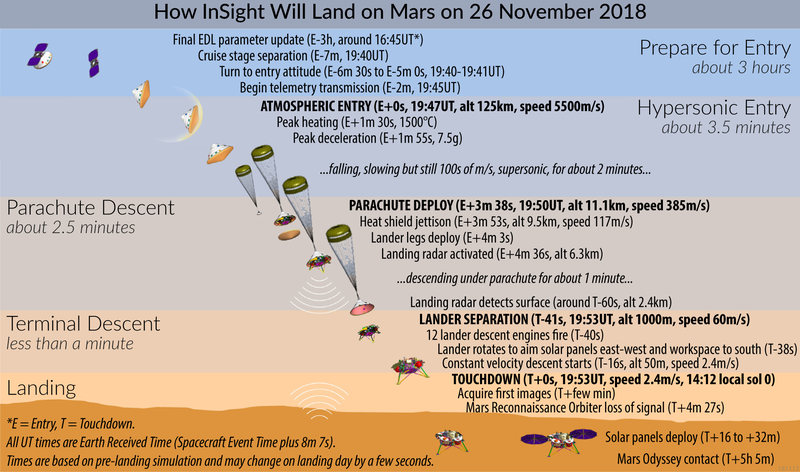 NASA's InSight Mars lander is scheduled to touch down on the Red Planet tomorrow afternoon (Nov. 26), and mission team members and agency officials are understandably nervous about the make-or-break moment. "So, we're of course worried," Zurbuchen said. "We recognize that you never take Mars for granted. Mars is hard." Mars gets a new visitor from Earth on Monday. If all goes well, a NASA probe named InSight will land near the Martian equator shortly before 3 p.m. EST. Once it lands on Mars, it will stay put. InSight isn't a rover. 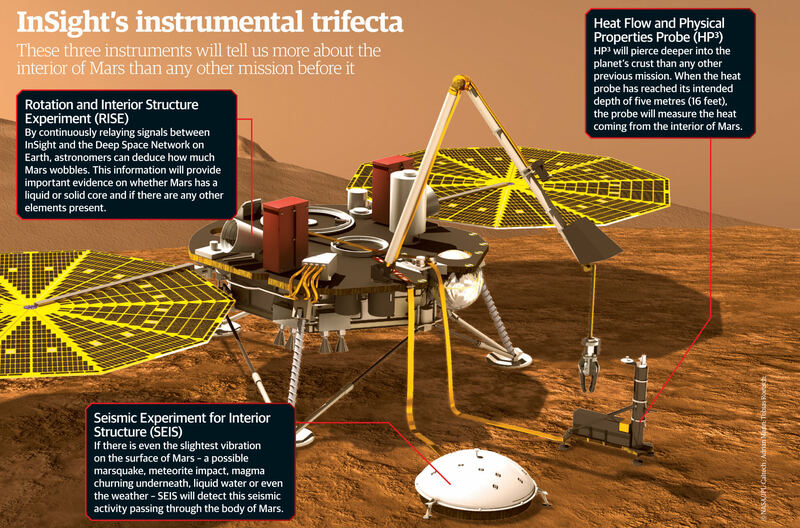 Its mission is to stick to one place after it lands — and study the interior of Mars from the planet's surface.